Very nice to see the Chelsea Fringe going from strength to strength. It began in London and this year it has events in in London, Brighton, Bristol, Vienna, Ljubljana, Turin, Kent, Norwich and online. What the Fringe needs is a sponsor which could provide a user-friendly website. It could be great publicity for the firm. This year, I was lucky to pick up a leaflet for the Nine Elms contribution to the Chelsea Fringe. It was a paper map with a list of events. Wonderful! But I would have been just as happy to download it as a pdf. This entry was posted in Chelsea Fringe Garden Festival, Urban Design on 27th May 2014 by Tom Turner. The Pop Up Event is very English: we love what their misguided detractors call Lost Causes. This entry was posted in Chelsea Fringe Garden Festival, Landscape Architecture on 28th May 2013 by Tom Turner. The Chelsea Fringe Garden Festival is in its second year. Congratulations to all who have helped make it happen – and especially to Tim Richardson, the Festival Director. What the Chelsea Fringe needs next is sponsors. I would like to suggest Richard Branson to sponsor the main event. He has given us the Virgin London Marathon, so why not the Virgin London Chelsea Fringe? 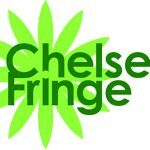 It would also be good to have sponsors for Chelsea Fringe Show Gardens (see my suggested Chelsea Fringe Sponsorship Opportunities]. The right garden in the right place could give the sponsor more bangs/buck than an ordinary garden in the Chelsea Flower Show. London developers etc (eg of hotel gardens, office gardens, roof gardens and small public open spaces) could give them a special treatment and open them for the 3 weeks of the Chelsea Fringe. The developers of Battersea Power Station have an even better idea: they are LAUNCHING the development of a luxurious housing project with the creation of a 2.5 acre Pop-Up Park as part of the 2013 Chelsea Fringe Festival. The design is by LDA landscape architects, who also managed the delivery of the 2012 Olympic Park. This entry was posted in Chelsea Fringe Garden Festival, Garden Design, Landscape Architecture on 20th May 2013 by Tom Turner. ‘Everyone has a wish’. Landscape architect Kendra Inman helped wishes grow on trees for the 2012 Chelsea Fringe. The labels (produced by school children, students and locals) were decorated to look like flowers and fruits. They were hung from trees at Dovehouse Green on the King’s Road in Chelsea, London as a contribution to the 2012 Chelsea Fringe. Kendra is a graduate of the MA Landscape Architecture at the University of Greenwich. This entry was posted in Chelsea Fringe Garden Festival, Garden Design, Landscape Architecture on 5th June 2012 by Tom Turner. Flower barge events should take place each day. 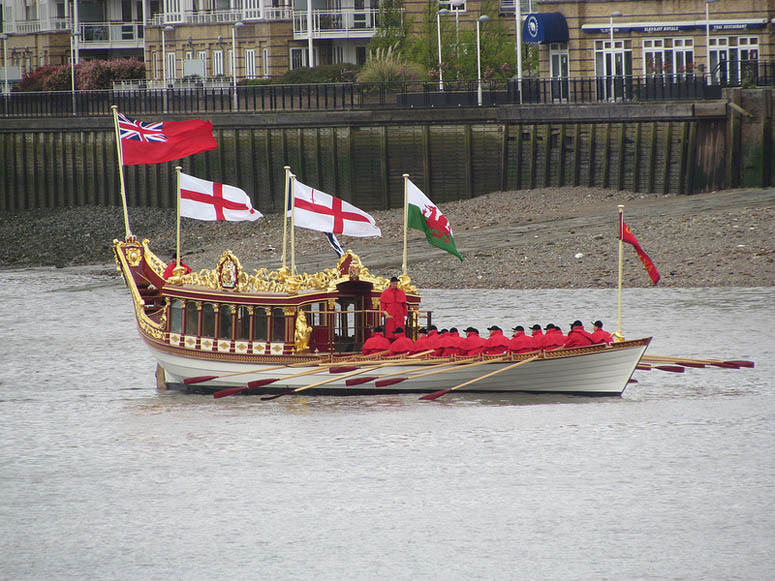 One or more blooming boats should travel with flood tide each day from the Pool of London to Chelsea. This would be as popular with tourists as the changing of the guard in the Mall and Buckingham Palace. This entry was posted in Chelsea Fringe Garden Festival on 3rd June 2012 by Tom Turner. ‘Smithfield is renowned for the ghostly late-night movement of animal carcasses and more recently for the early-morning traffic of displaced revelers. Adding to the mix is this new internal garden space, the Garden of Disorientation’. I went to visit the garden on a really hot day in the course of a long cycle ride to visit other Chelsea Fringe projects. Suffering from heat disorientation, I found this intriguing space blessed me with orientation, as did a delicious drink. Deborah Nagan, of naganJohnson, designed the Garden of Disorientation for the 2012 Chelsea Fringe. 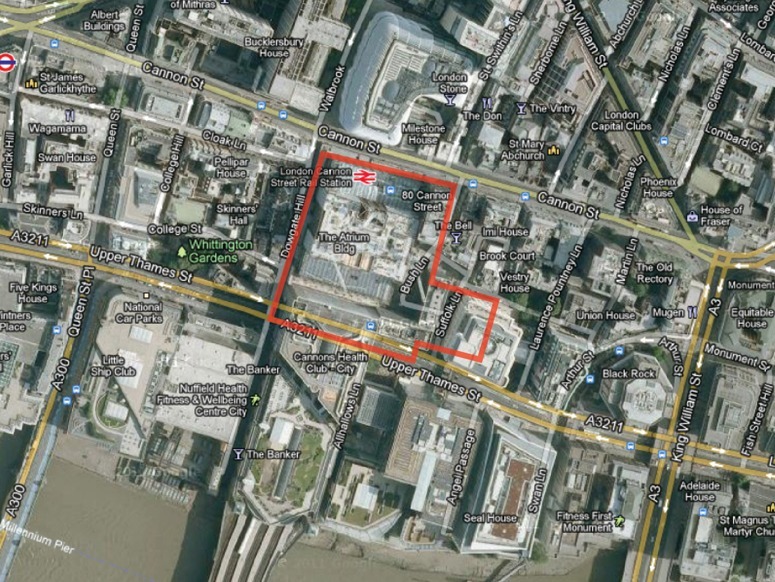 The Garden of Disorientation is at 59 Charterhouse Street, Smithfield, London, EC1M from 19th May to 10 June 2012. Deborah is a graduate of the MA Landscape Architecture at the University of Greenwich. The Modern Garden Company was the main sponsor and supplied the excellent garden furniture: it is tough, stylish and street-worthy. 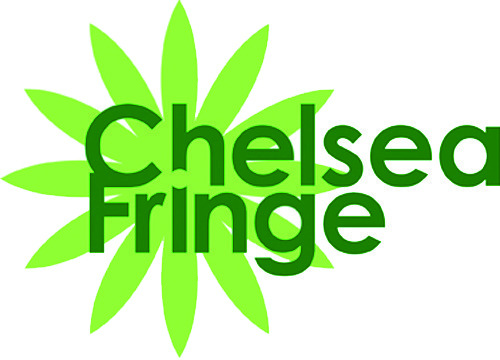 There are lots of reasons for wishing the Chelsea Fringe every success: it makes London an even more exciting city; it confirms London’s role as the world’s garden capital; it creates opportunities for landscape architects to show what wonderful things they can do for the city; it lets sponsors do really good things with their marketing budgets. We have many helpful suggestions! So COME ON EVERYONE: the Chelsea Fringe has 100 projects in 2012: LETS MAKE IT 1000 PROJECTS IN 2013. 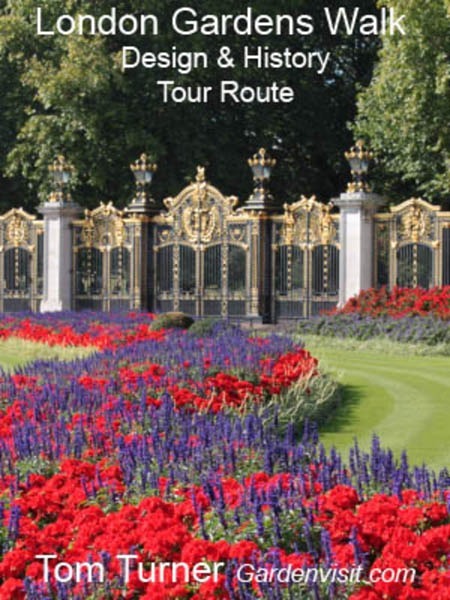 Anyone unlucky enough not to be in London from 19th May to 10th June 2012 can do the London Gardens Walk. It is open on every day of every year. This entry was posted in Chelsea Fringe Garden Festival, Garden Design, Landscape Architecture on 29th May 2012 by Tom Turner. To celebrate the start of the first Chelsea Fringe Garden Festival, Gardenvisit.com is giving away free copies of the London Gardens Walk eBook during the weekend of 19th to 20th May. It is in Kindle format and can be downloaded from any Amazon website. If you don’t have an eReader you can download an app for your Mac or PC from the Amazon site. Comments, or, better, reviews on the Amazon website will be welcome. There is also a version of the gardens walking map on Googlemaps. 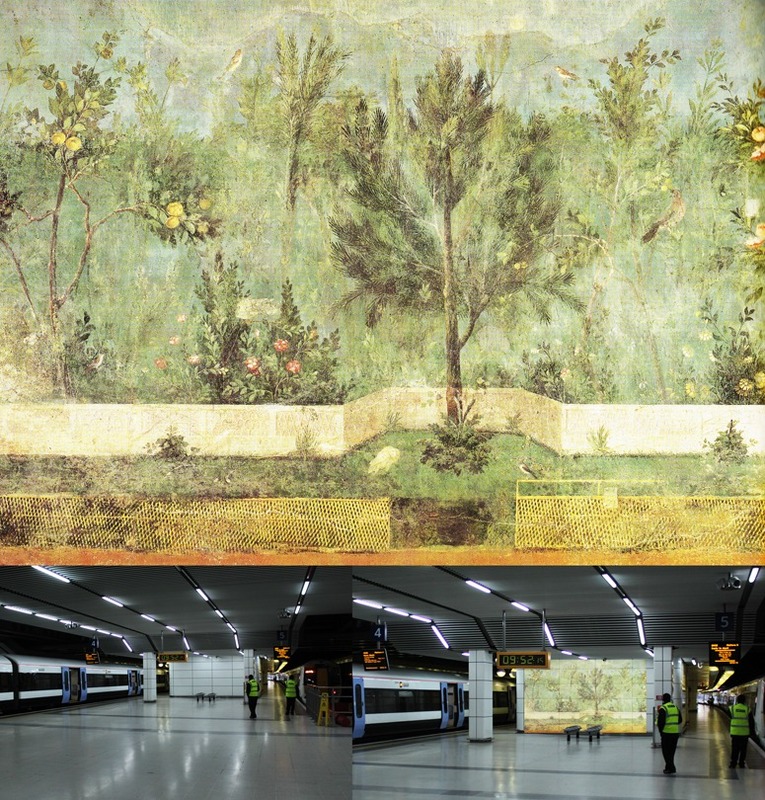 It aims to walk you through about 5000 years of garden history by seeing London gardens and parks and objects in the British Museum. Does the world have another city with so much garden history on view? This entry was posted in Chelsea Fringe Garden Festival on 16th May 2012 by Tom Turner. London Transport need not worry about these girls obstructing the flow of communters from their suburban pads to the Canary Wharf money factory. They are a holographic projection into a thin cloud of disco fog, intended to give the salarymen and salarygirls a reminder of their next escape to Ibiza. [Nor do London Transport need to sue me for not having had a license to take the photograph: it is a simulation.] The troupe have decided to call themselfes the Flowers of Canary Wharf and are planning a performance for the 2012 Chelsea Fringe Garden Festival. This entry was posted in Chelsea Fringe Garden Festival, Garden Design, Urban Design on 15th January 2012 by Tom Turner. Reading about London’s Roman archaeology, I was deligted to find that the site of the Provincial Governor’s Palace is open to the public. It is now the foyer of Cannon Street Station (ie the foyer is above the garden site). So I went to take a photograph. My camera went ‘click’ at 09.52.15 on 05.1.2012 and 57 seconds later a shifty looking man approached me with an ID card and we had the following exchange. ‘I am the station manager. Did you know that this is a private place and you are not allowed to take photographs?????’. I could not finish the sentence because he interrupted me to say ‘I could call the police’. I asked him not to interrupt and made 3 more attempts to complete my sentence. It could not be done, so I ended the conversation with the remark that that ‘If this is how “station managers” waste their time it is no surprise that National Rail has operating costs way above the European average. It also has lower standards – and the staff are often impolite’. No doubt he could have given me the Nuremberg defence ‘I was just following orders’ and to show I bear no personal grudge I have decided not to bill Network Rail for the imaginative proposal, above, for using his blank wall as a place on which to project illustrations of Roman Palace gardens. He should also install a Triclinum and train for the more rewarding job of serving Roman delicacies to customers suffering psychological damage from their experiences with London’s rail system.
. Let us hope National Rail ‘read the writing on the wall’ and put on the Roman Palace Garden Projection as a contribution to the 2012 Chelsea Fringe Garden Festival. This entry was posted in Chelsea Fringe Garden Festival, Garden Design, garden history on 7th January 2012 by Tom Turner. there could be sustainably Permanent Show Gardens, as well as Temporary Show Gardens. People often remark on what a waste of money it is that Chelsea Show Gardens are only on view for a single week. 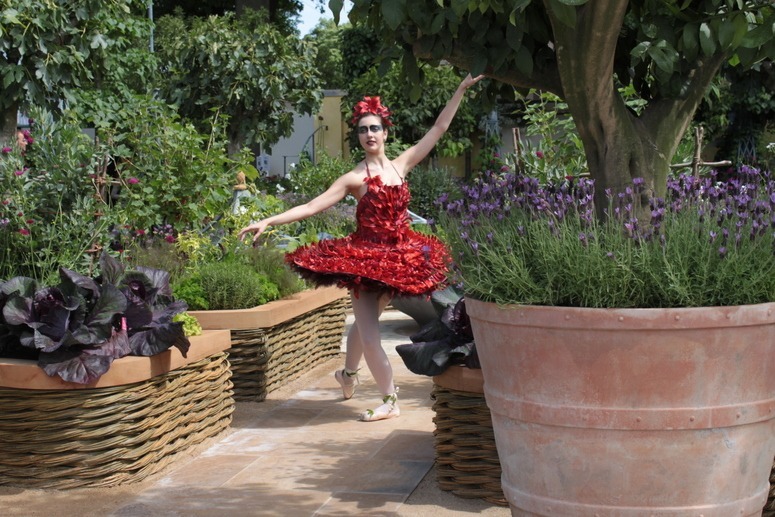 The Chelsea Fringe would allow some of the show gardens to become permanent. many summer visitors to London, who cannot get tickets for the Official Chelsea Flower Show, would be able to see wonderful gardens. The gardens could be opened in sync with the official show and would then be at their best for the whole summer. Here are the 2007 proposals for the type of events which could be brought within the umberalla of a Chelsea Fringe Flower and Garden Show Events. This entry was posted in Chelsea Fringe Garden Festival, Garden Design on 31st May 2011 by Tom Turner.